Eric: Hey you. Psst. Yeah. Frustrated marketer. Come over here. What if I said I had a little something that might give your team the ability to change gears more quickly? I don’t know, maybe give you some better visibility into the status of your projects? I don’t know, maybe identify those roadblocks just a little sooner? And a nice little side-effect would be producing higher quality work? Yeah, you like the sound of that, don’t you? Well, this isn’t some shady street deal, folks. This is what 447 marketers revealed as the top benefits of implementing an agile marketing approach. It is a very fun and exciting episode. We are revealing the results of the Second Annual State of Agile Marketing Report. I am joined with Andrea Fryrear. She’s the Co-founder and Agile Marketing Consultant with AgileSherpas and CoSchedule partner with AgileSherpas to do this research, the study, and I’m so excited to share all the results that we’ve found. I like to tease just a few. In fact, 50% of traditional marketers are looking to implement an Agile marketing approach in 2019. This is a trend that’s been happening and if you want to understand why, more organizations are moving to this approach. What are the benefits and even what are the barriers in doing so? This is the episode for you. My name is Eric Piela. I am the Brand and Buzz Manager here at CoSchedule. I cannot wait to introduce you to Andrea and to talk all things Agile marketing. All right, buckle up. It’s time to get AMP’ed. Ladies and gentlemen, I’m super excited to have Andrea on the show. Andrea, welcome to the Actionable Marketing Podcast. Andrea: So happy to be here. I am so excited, too. Eric: Yes and you are a return guest. You know like in SNL has five-timer award? This is your second time, which is a pretty big deal. I love having you back on the show. Andrea: Yeah, you’re giving me a plaque or something? Eric: We’ll get that in the mail. This is great. We’ve been working together. To be candid with everyone on the show, we’ve had a really exciting time collaborating over the past couple of months, specifically around agile marketing. That’s something near and dear to CoSchedule’s heart and obviously, Andrea, near and dear to your heart for many years. We’re going to be talking through the Second Annual State of Agile Marketing Report. This is an extremely exciting day because this is the day, the day that this podcast airs, is the day that the report goes live, which is pretty exciting. Andrea: It’s so exciting. This is like my birthday, Christmas, and New Years all rolled into one. Eric: I love it. Andrea, I want my listeners who maybe aren’t familiar with you or Agile Sherpas, to get to know you before we dive into this report and some of the cool findings there. If you could just give our listeners an understanding about your marketing past, where you came from, and a little bit of what Agile Sherpas does now? Andrea: Sure. Like a lot of marketers, I’m not trained as one. I have come to it in sort of a roundabout way. Got started running a website as my very first job out of college, that transitioned to SEO, that transitioned into concept marketing. Before I started training and coaching with AgileSherpas, I was a Content Marketing Manager and Strategist for a SaaS company. Now, at Agile Sherpas, we take all of that marketing know-how from our group and combine it with the agile practices and frameworks from the world of software development to help marketers create their own unique agile ways of working. We train, coach, consult and help them make that a reality. Eric: I love it. What a cool journey. I think I heard the word Agile 20 times in there. I know that you are passionate about Agile Marketing. You know what? Let’s just dive in. Let’s do some level setting here. I’ve been steeped in this for a year or two, you’ve been for multiple years. In the event that a listener isn’t as attuned to agile marketing and that philosophy, could you start in here by just maybe defining the agile marketing philosophy for everyone? Andrea: Yeah, for sure. If you haven’t drunk already the agile Kool-Aid, it is all about moving from these traditional, big-bang, high-risk, hyper-planned marketing pieces of work towards more short-term, flexible plan that let us release work that’s very focused on the customer, very high quality, but also able to be delivered very rapidly, very quickly. We focus more on experimentation and validated learning, all of this done through small, empowered, autonomous marketing teams. 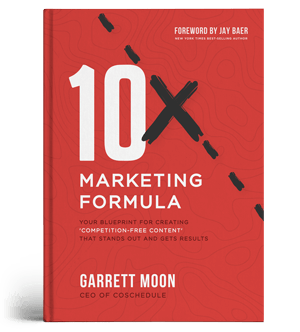 It’s a total switch from the big, massive, annual marketing plan to the short-term plans that we can execute and then review and learn from. Eric: I love that. It’s so funny to hear you explain it like that. Our CEO, Garrett, just wrote an article on Inc, which was Shred Your 2019 Marketing Plan, because he’s probably already on a date. I think a lot of marketers are feeling that. We put all this energy and effort into this long, laborious plan, only to know that the dynamics of marketing and business plans, and the shifts of marketing tactics, everything, that’s not how it works. We can’t live and die by this plan. We got to be nimble and I love the agile process, obviously adopted from the developer framework and applied to the marketing world. We are definitely agile here at CoSchedule. We practice a lot of these things. I literally have the report in my hands. If you hear me flipping through pages, it’s hot off the presses. I’m looking at the report. If I’m not an agile marketer, what am I? Where do I fall in, and how many are saying they’re agile? This report, we pulled over 450 marketers and we’ve got some really cool stats back. Andréa, what did you find interesting about some of these results? Andrea: As you can see and you should go down on that report if you don’t already have it and see if you can follow along with us. About a third of our respondents told us that they are agile, that they’ve gone through some kind of process transformation and now they’re using agile practices and frameworks in some form or fashion. But then, another 50% of people say they’re traditional. So those would be the people that need to shred their marketing plans, that have spent a whole lot of time with their upfront planning process, and then they try to stick to that plan for as long as they possibly can. Those are the traditional folks. Then we have the people who would call themselves ad hoc marketers where they don’t really have time to plan, they’re flying by the seat of their pants doing whatever seems best from day-to-day. And that was another 15% of the people that we surveyed. Eric: Got you. Maybe you fall somewhere in there and maybe it didn’t make it look more tangible. Say you’ve implemented or feel like you maybe had. What are some common practices that marketing teams do that identify with the agile marketing process? Are we talking stand-ups or retros? What are some of the things that respondents say that they do? If everyone else was like us, we kind of do our own style flavor of agile. We pick and choose our favorite things, but what are some of the things that respondents said that they do to adhere to an agile process? Andrea: A lot of the things you mentioned like daily stand-ups so that quick check-in style daily meeting for everybody on the team to touch base is one of the most common. Getting your work out there in the open and visualizing it in some way or another, whether it’s a kanban board with sticky notes or an actual agile project management tool, that’s very common. Using a Sprint for those short, couple-of-weeks time periods where you focus and commit to work, those are common. But you’re right. There’s the whole range of flavors of agility. There’s not a one-size-fits-all. Really, it’s about that focus on frequent release and customer-centricity instead of that big, long-term plan that we don’t deviate from no matter what. That’s really one of the major distinguishing characteristics for the agile folks. Eric: I think that’s really important to note. You think of the word agile, which means flexible and nimble, but I think there’s also maybe sometimes the antithesis of its definition when you think of adhering to a strict agile process, it’s very process-oriented. I think it’s important to know that you can identify it and have agile marketing frameworks or processes in play but necessarily have to feel you have to follow every single step of the agile bible, so to speak, right? Andrea: That’s so, so important. Yeah. We work with a lot of different teams that tried to be indoctrinated. They found an agile coach maybe internally that works with their IT or their software group, who tries to force them into that really rigid box that works pretty well for software teams. But for marketing teams, we need more flexibility and that really is something that came out in the report that I was really excited about. We had 54% of the agile teams telling us they use some kind of a hybrid approach. They’re not forcing themselves into a box. They are adopting agile in an agile way by being flexible about what practices they incorporate. Eric: I’m glad we definitely defined that because I think that is important. As we look at ourselves, we can’t do all these things but here’s some things that really work for CoSchedule. So, if you’re a listener, I would think to understand what some of the agile processes are and maybe figure out what might work for you. Agile is a pretty young movement. It’s been around longer in different departments. It’s maybe younger for marketing teams. I think more of the crazy stats that I saw that just blew my mind, that I’m happy to leak on the podcast here is 50% of traditional marketers are planning to adopt agile within a year, which leads me to believe that everyone’s moving this way and there’s got to be a reason. I think maybe what we should do is also set some groundwork around what are the reasons why teams are moving to an agile framework. Andrea: Yeah. Change is hard. There has to be something enticing on the other side of the difficult process. We ask everybody that in the report and they’re telling us things like, “We need more productivity,” and, “Marketing teams always have to do more with less,” so increasing productivity for individuals and for teams is really important and agile is proven to be amazing at doing that. Being able to do the right work at the right time, effectively prioritizing—because again there’s a million things we could be doing at any given time—we need to know what’s really going to move the needle, what’s really gonna be the most important work, let’s get it done, and then move on to the next thing. So, prioritization is really important. I love the connection that’s coming out of the report between innovation and agility. Being able to limit the amount of stuff that you’re doing so that you actually have time and mental space to innovate and be creative is so powerful in marketing. Especially as channels get noisier, competition increases, it’s only the really cool work that’s even going to have a chance at engaging people. All of that stuff is driving marketers in droves to a more agile way of working and like you said, half the traditional teams are planning to make that switch this year. So, the time is now or you’re going to be playing catch-up if you’re not in that early adopter group. What are some of the other benefits that you typically hear? I know you train and implement marketing teams all over the world. You just got back from South Africa. You have Sprint us. What else are you hearing of what are the benefits that they’re reaping from that? Like you said, which can be some change management and adjusting to a new process and a way of thinking around marketing. What are the rewards they’re seeing from that? Andrea: Definitely the changing gears thing is important and the speed too is something that people typically associate with agility and that’s definitely being borne out in the results that we’re seeing like, “Yeah, we can release faster.” One of the numbers we often see is if it takes you, let’s say two months in a traditional world to get anything out the door, any kind of campaign or whatever it is, two months is your average post-agile marketing, you’re going to be looking at something closer to two weeks. So it just speeds up your metabolism. You can just get stuff out the door faster. It’s also really nice, too, that agile practices can repair some of the interpersonal problems that marketers can experience like, “We’re burned out so we’re not good teammates and nobody trusts marketing to do what they said they’re going to do because it takes us three times longer than we anticipated to get anything done.” We become better colleagues, we have better work-life balance, and all of those great things happen in an agile environment, too. As I said, I used to be content marketer and I was ‘sleeping under my desk trying to get all my words written every week’ person. It’s really nice to see that kind of benefit coming out for my marketing people. Your life is going to be better. Eric: Yeah, absolutely. I was laughing to myself because I didn’t want to interrupt you about the metabolism analogy. Who doesn’t want to speed up their metabolism? I love that connection there. I think the beauty is that you’re starting to see some of these benefits. All right, say Eric, say Andrea, maybe you’ve sold me on the benefits of this. What have you gleaned, what have you seen in even some of the report here talks about what has been valuable in adoptions? Obviously change management, you’re adopting something brand new. What are some of the things that are most valuable in helping that adoption? For example, one of them that obviously is super special to me is hearing them saying, “Implementing an agile project management tool, CoSchedule, that can help with that…” Those are things that help facilitate that change management, facilitate that process. I know who train and webinars around there, which is near and dear to you, too, but what are some other things that you’ve heard or the reports says around valuable and helping that adoption process, which can be very difficult at times? Andrea: It can be challenging. I was surprised at the top result. 45% of the agile marketers said that having consistency in the practices and processes across teams was really important for them. To me, that says get everybody on board. Make sure everybody understands what’s going on, why is it happening, why are we having daily stand-ups, what’s the reason behind it, why are we visualizing work in a tool. All of those things so that everyone can be on the same page. What you don’t want is a huge disparity in the way that people are adopting agile. We want to be flexible but we don’t want to be crazy with the spectrum that we’re on. That one was really interesting to me. Then of course, like you said, training is important I think to deliver on those consistent practices and processes. They called out specifically training and webinars, but then also external process and workshops. We have agile marketing certification workshops you can join. There’s all kinds of ways to succeed but making sure you’ve got to plan for education and adoption is really important. Eric: Yeah. That’s great. Again this is what the 450+ marketers are saying, so we’re really just relaying the information we’re gleaning here. It seems to me that we know that teams are moving to agile. We’ve heard the benefits that can be result of moving to a more agile process with their marketing team. The big question mark that pops up for me is going to be like, what’s the deal? Why aren’t people doing this? What are the barriers? We know we threw out the word change management but there’s got to be more than that. So why are people dragging their feet? Is it the lack of awareness? Is it scared of change? I know we had a question on another report. What does the report say? What are you also seeing in your trainings and in your implementation that you’re hearing from customers? Andrea: The two things that were the top results from the report were a lack of education, and I think that there’s still some misinformation out there. You’ll find articles that say the only way to be agile in marketing is to adopt Scrum. Unfortunately, that’s just not true and it’s not beneficial for marketing teams. Still we need to overcome some of those educational barriers, which I think is why we saw so many successful agile marketers tell us that education was a key part of their success. But then, there’s also this fascinating belief that our process is okay right now. It’s not great, but it’s pretty okay. We’ve got to get to a point where the process of change is less painful than the status quo. Really, the people that are going to get the most benefit from this are the ones who make the change before they hit that tipping point because they’re not going to be having to play catch-up. They will be getting ahead by using agile practices. That’s something we see from teams all the time. Things aren’t that bad, so why should we go through the painful process of change? Good enough isn’t good enough anymore. It’s time to be great. That’s the biggest thing is how do you do great work and keep your entire team happy and not frustrated? I think, at least we’ve seen in here, Agile does open its communication lines and we get to innovated, do things, and be nimble. I can totally relate to those responses and I get it. The easiest thing is to maybe the first one, which was lack of training. Between the great content that you have out there on agile marketing, I know CoSchedule has put out some good blog posts as well. Get educated. If this is your first brush with agile marketing, learn more. It’s definitely not nearly as cumbersome and daunting as one might think. Understand, know what you don’t know, and realize what you might be missing in terms of productivity and all the things that these respondents said that were some of the benefits of working with us. I think those are all great things to consider. As I think about what it is we wanted to accomplish with this report—maybe looking back—we didn’t have the privilege of partnering with you last year. Were there any things that you saw different, since this is the second annual? Are there any trends that are changing or shifting from what you found out last year to what this year’s report illustrated? Andrea: My favorite shift from the 2018 report was more of the agile teams telling us they’re using a hybrid approach. That one from 40% last year to 54% this year, which I love, because that tells me that people are getting educated. They are figuring out what agile looks like for them and not just blindly following the Scrum guide or whatever it is. They’re thinking for themselves and that makes my soul very happy. Eric: I love it. There are some great things in this report but I’m going to ask you a really difficult question. If you put yourself in the place or the shoes of our listeners, and they’ve been thinking about agile, maybe they’re just starting to educate themselves on agile, if there was one piece of advice or if there was one first step that they should take to maybe start moving down that agile marketing journey, what would it be, Andréa? Andrea: One of my favorite things is, if you can’t fix it, make it visible. That would be my first recommendation is make everything visible. Build a backlog of work, write down everything you’ve got coming up, put it in a super strictly prioritized list, and then start working from the top. Then document whatever it is that you’re actively working on a board of some kind, in CoSchedule, on your wall, whatever it’s going to be, get it out there in the open. You’re going to learn so much about what’s really going on and you’re going to find all these opportunities for improvement. That’s going to enable you to just start. That’s the hardest thing. Take that first step and just start. Eric: Love it. Good advice, Actionable, which I know my listeners love. My call to action for you is go and download the report. It is free for anyone to absorb, read, and enjoy. I know Andréa has gone out of her way. There’s actually three steps to overcoming barriers and going agile she’s put in here. There’s just tons of good resources that you can learn more, not only you can see what people are saying about agile, learn from the report, but also they provide one step 1-2-3 to get going with agile, which is great. We’ll have a link to that report in the blog right up here as well. Just search ‘State of Agile Marketing Report with CoSchedule and Agile Sherpas’ and I know for sure will pop up for you. Andrea, if they want to go and learn more about Agile Sherpas, maybe they’re at the point where, “You know what? You sold me. Congratulations. I want to figure out how I can get more training or convince my leadership to think seriously about Agile.” Where can they go on your site? Andrea: We have a training and resources section on agilesherpas.com. 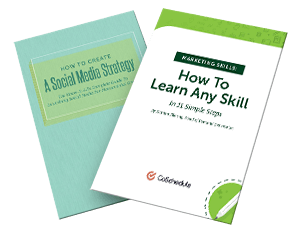 We’ve got tons of free content out there, getting started guide and building your backlog. All that stuff is free and out there. We also have an online course that you can take. That’s 80 minutes of online education. You can join us for a public certification workshop of calendars on agilesherpas.com and I would love to see you in real life. Eric: That’s fantastic. Thanks for that. Thank you for listening. This has been fantastic experience, Andréa, just talking to report and just working with you and the Agile Sherpas team on this report. It’s been a delight. I’m so excited about some of the results. We’re going to be doing a webinar as well. This podcast is dropping the day of the webinar, so you probably won’t be able to register but you can definitely get a recording of the webinar so you can learn about, we go through step-by-step, all the results, as well as you’re able to get a download of the report there as well. Thank you, Andréa, so much for coming on the show. Thanks for sharing all of your wisdom on agile marketing. It’s been a fantastic conversation. Andrea: Always happy to be here. Thank you so, so much. Eric: All right. Thank you and take care.